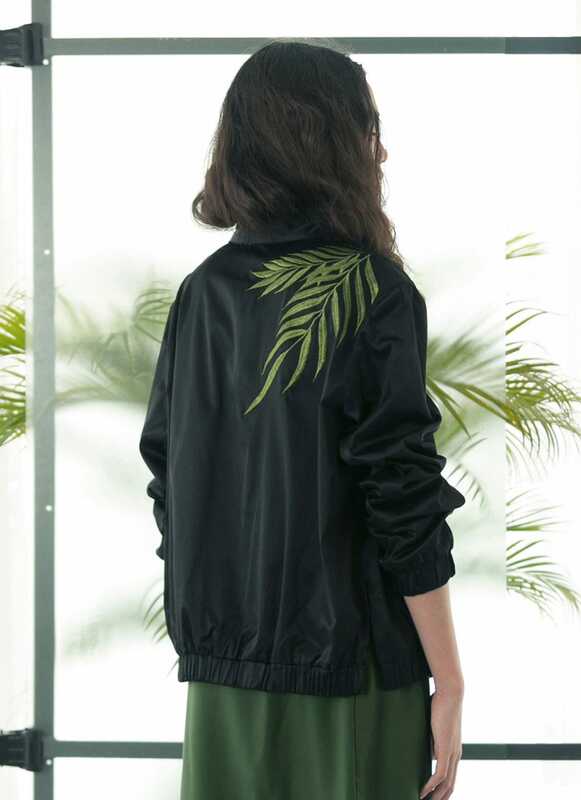 Eesome offers a range of easy ready-to-wear garments with irrefutable details which offers versatility as wardrobe essentials. 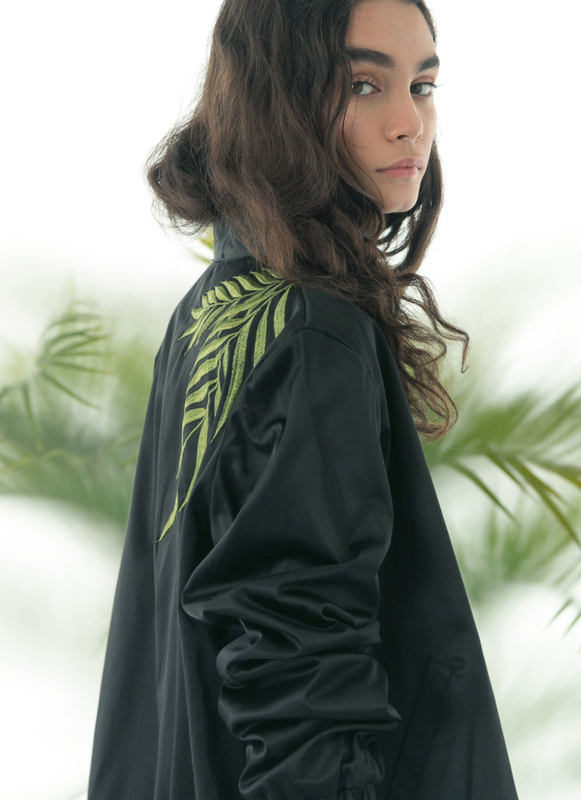 This Palm Bomber Jacket features a palm embroidered on the back side. Completed with silver snap buttons, along with your top-bottom combination, this sporty outerwear is ready to level up your basic day to day look!